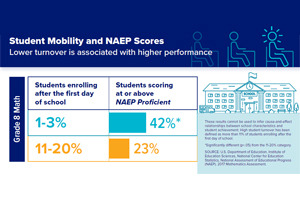 Explore how student and teacher mobility is associated with student performance on the National Assessment of Educational Progress (NAEP). Spoiler alert: Lower turnover is associated with higher performance on NAEP. 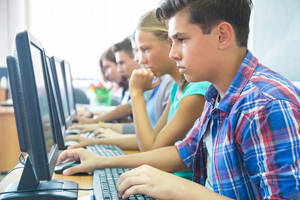 A National Center for Education Statistics (NCES) report uses data from the 2015 NAEP student questionnaire to analyze students’ access to computers at home and at school. The report shows how computer accessibility varies by students’ socioeconomic status, by state and jurisdiction, and by school sector. 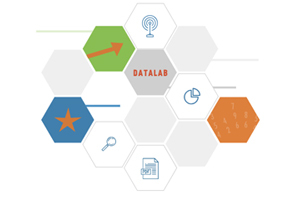 DataLab allows users to analyze education data from more than 30 federal databases. The tool from NCES includes data from preschool to postsecondary education that captures hundreds of variables. Users can create custom tables, run data regressions, track trends over multiple years, and more. READ Politico’s interview with Beverly Perdue, the chair of the Governing Board and former governor of North Carolina, on the Board’s new achievement levels policy, NAEP’s transition to digital-based administration, and the Board’s role in exploring contextual data on NAEP. LEARN how the Rhode Island Department of Education will use the Massachusetts Comprehensive Assessment System to examine student performance and advance education reform from Ken Wagner, Governing Board member and Rhode Island’s commissioner of elementary and secondary education. READ a commentary by Carol Jago, Governing Board member and associate director of the California Reading and Literature Project at UCLA, on why reading is an effective tool for teaching social studies.